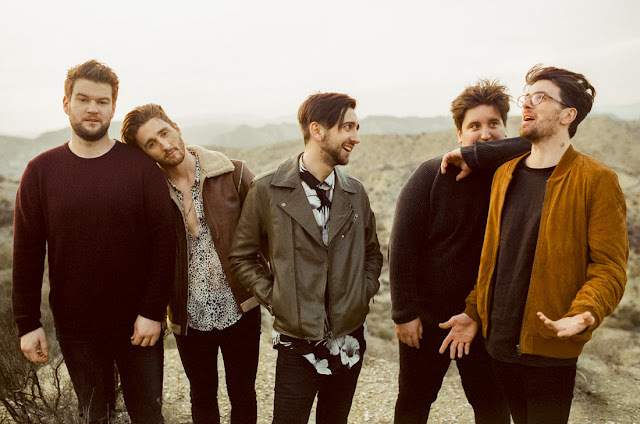 Making a welcomed return back in April with their single Make It On My Own, London quintet Eliza and the Bear are back once more with the bright and breezy Lion's Heart. Set to precede their debut album due early 2016, the band's use of anthemic choruses and intricate melodies perfectly capture their undying musicianship. Lifted to insatiable heights through James Kellegher's soaring vocals, all the while grounded by its marching percussion, the track's slow rising crescendo of strings and lofty guitars brings together their exuberant sound in wondrous detail. "Lion's heart is a song telling someone that they are an absolute hero, but they don't even know it" explains Kellegher speaking on its conception. "It's about finding your own strength". Take a listen below for yourselves. Lion's Heart will be released July 27th through Capitol Records.